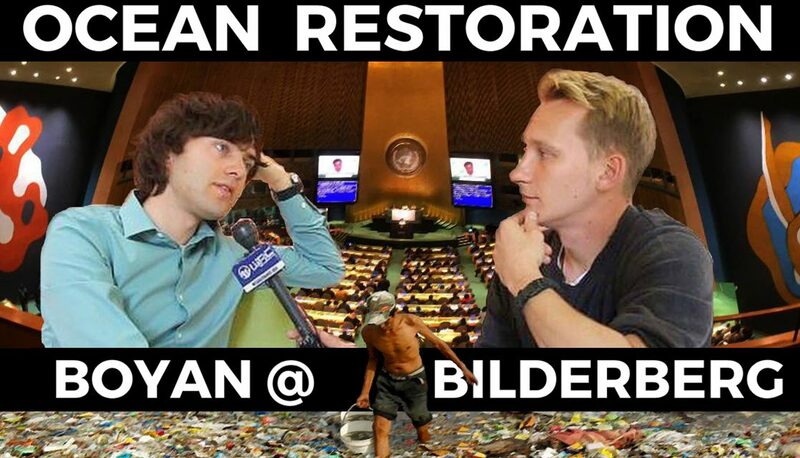 While in Virginia at Bilderberg 2017, Luke Rudkowski scored a sit-down interview with the youngest ever official attendee at Bilderberg- Boyan Slat of the Ocean Cleanup. 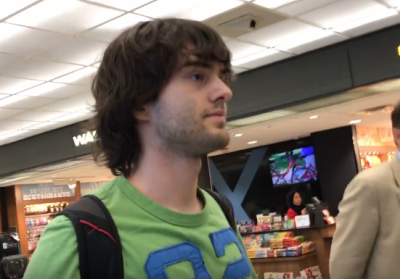 His first meeting with Boyan had very different circumstances.. Luke politely ambushed him at the airport as he was on his way to the Bilderberg meeting. 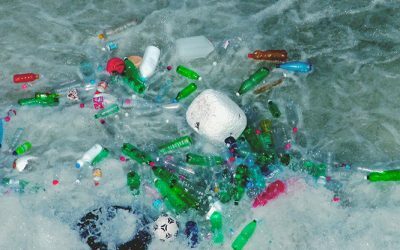 There are an estimated 5 trillion pieces of plastic polluting our oceans. Boyan said he got his invite to Bilderberg a few weeks ago, and researched it some it before he accepted. He said what he found was interesting, and he recognizes that there are upsides, as well as downsides to interacting with these types of people. The opportunities for networking and getting his projects funded were too good for him to pass up. 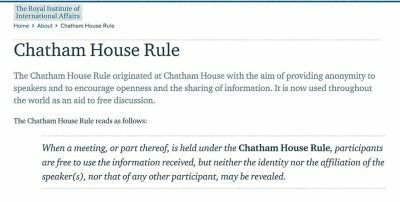 The Chatham House rule for privacy is enacted at Bilderberg: “..they want to foster open conversation,.. You can use the information being shared but not to disclose who said it- and sort of the context.” Boyan said that was the only limitation he’s recieved so far regarding the meetings. He says he felt it was in the interest of Oceans Cleanup for him to be there: “It’s not every day you get the opportunity to present an environmental technology to these people.” Luke mentioned that Bilderbergers and their ilk often don’t have best interests of fellow humans, or our environment in mind. The most well-known patch is between Hawaii and California- an accumulation zone covering a fairly large area. The plastic littering oceans weighs around 10K times more than the sea life itself, and many species of ocean creatures are suffering. Because the oceans are so vast, collecting all of the plastic is difficult. 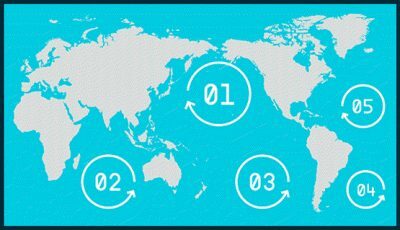 the trash hard- but the ocean cleanup thought why not take advantage of the fact that the plastic moves around. His company is invented a series of large floating booms that capture the plastic. They attach a large anchor at a depth of 600 meters which creates drag for the system so that it moves slower than the plastic and therefore collects it. He thinks they can cleanup half the Pacific garbage patch in five years time. Boyan’s ideas went viral a few years ago, which allowed him to raise the initial capital via crowdfunding and he recently built the first system. They have deployed prototypes and now they are ready to deploy the first one early next year. Boyan doesn’t think the company could have been built earlier without the technologies of crowdfunding and social media.. it’s really a project of the times and the internet. Boyan says there needs to be some sort of revenue stream, you don’t want to be a bottomless pit, that needs money and donations forever. The plan is to partner with companies and individuals who can buy or sponsor their own cleanup systems. He has a plan to recycle the plastic at a premium, so that products can be marketed as coming from ocean plastic. That’s how he sees being economically viable and self sustainable. In general he thinks it’s necessary to convert civilization of the last century to one that will still be around in the next century. He thinks it’s most effective to support the solutions, as it’s an arms race between good and bad technologies. For example, there are talented people making Hydraulic fracturing (fracking) more efficient- and on the other side there are people making solar and wind power cheaper. He thinks it’s a responsibility of the smart people in the world to work on the things that are right. Activism in this century won’t be the classic protesting marches and activism of the past, it will be more of entrepreneurship and creating what you want the world to be. He hopes his company can be a symbol for that. Worldwide uncensored coverage you can’t get from the MSM is empowering humanity. NextUK General Election: Did The Globalists Win?